It's been a wild year for Kanye West both personally and professionally, which made the September announcement of another new record titled Yandhi all the more surprising. Now, West has pumped the breaks on that LP's release yet again. Late yesterday (November 12), West hopped on Twitter following a performance with Kid Cudi as Kids See Ghosts (which may or may not have been inspired by Lorde) to announce the delay. "It felt so good being on the stage last night with my brother Cudi," he wrote. "After performing again, I realize the new album I've been working on isn't ready yet. I'll announce the release date once it's done. Thank you for understanding." West first teased Yandhi in September, sharing a release date of September 29 along with some Yeezus-esque artwork. That day instead yielded a sad, rambling pro-Trump rant from the stage of SNL. October 1 found Kim Kardashian on damage control duty, floating a new release date of November 23. 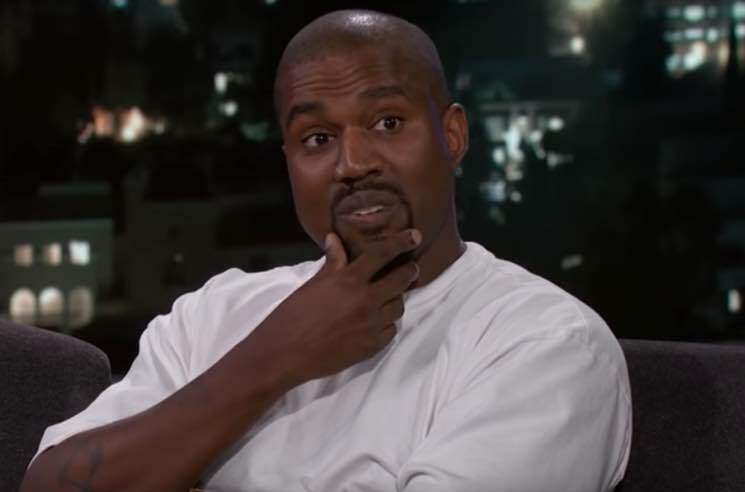 It is now unclear when Yandhi will arrive. West has already released his solo LP ye and Kids See Ghosts alongside Kid Cudi this year. Recently, Kanye also delivered singles "I Love It" and "XTCY." It felt so good being on the stage last night with my brother Cudi. After performing again, I realize the new album I've been working on isn't ready yet. I'll announce the release date once it's done. Thank you for understanding.